This is the first time this conference is held in Milan, an extremely active city in the present, merging ancient history with a strong impetus towards the future. This is the result of our strong commitment and involvement within this community in the last years: IPSERA values and research focus are totally aligned with our research and education activities. In selecting the theme of the conference, we tried to find something that people could remember and most of all something that would be meaningful for our research group, for our University, for our city. 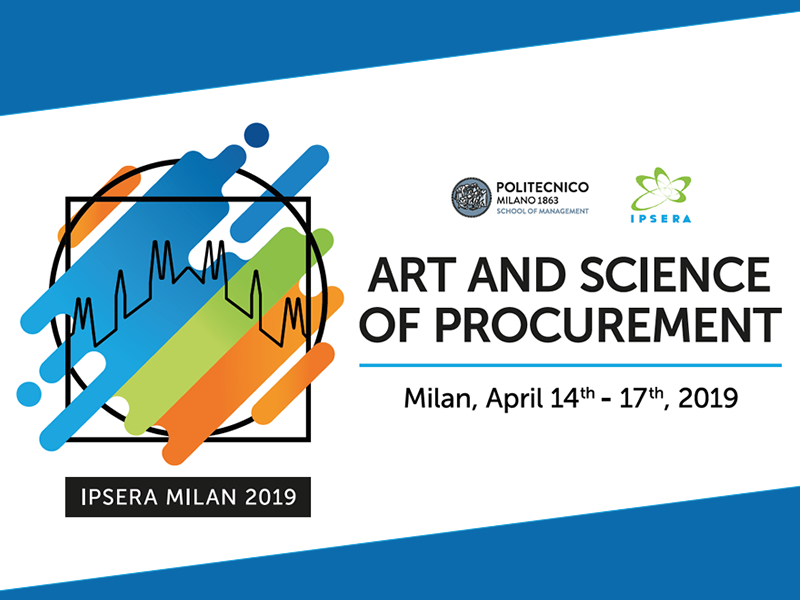 The theme we propose reflects two key faces of the procurement activity that are worth future research efforts from all of us. On the one hand procurement requires more and more the application of science and technology, analytical skills and quantitative methods; on the other hand, there is a need for art and creativity, ethics and behavioral skills. The whole conference will take inspiration by Leonardo da Vinci, a man who was the essence of what we have just mentioned. He lived in Milan five centuries ago and he could integrate multiple faces all together: art and creativity, science and technology, living in the past but flying to the future… We are looking forward to welcome you in Milan!